[OSEN=표재민 기자] YG Entertainment’s rookie girl group BLACKPINK threw off their secrecy and stepped out in public. On August 25 at 10AM, “BLACKPINK TV episode 1” that shows daily lives of BLACKPINK members which have been kept secret so far, was unveiled on YG’s official blog (www.yg-life.com) and NAVER TV CAST. The video presents BLACKPINK who took No.1 in SBS “INKIGAYO” on August 21, within the shortest-ever period of time for a girl group, 14 days. Plus, it also shows a variety of BLACKPINK including the members on their way from home to broadcasting station and in a waiting room for the TV music show. “BLACKPINK TV” demonstrates not just their powerful and charismatic performances on the stage, but also what they are really like outside the stage”. It will be a good opportunity for anyone to get to know about real BLACKPINK better. 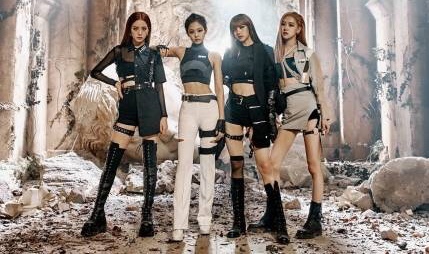 In the meantime, BLACKPINK swept No.1 on the real-time, daily, and weekly charts of major music-streaming websites in Korea upon their debut. They are writing unprecedented records also by taking No.1 on the iTunes charts of 14 countries, No.1 and No.2 on American Billboard’s World Digital Songs chart, as well as No.1 and No.2 on the weekly chart of China’s QQ Music.